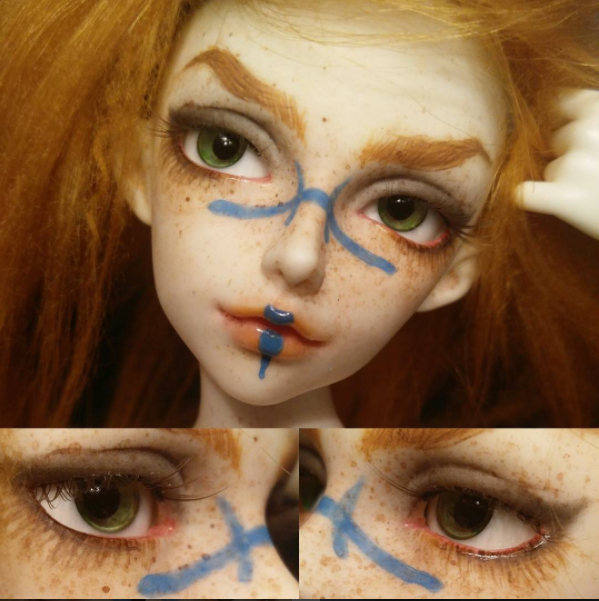 I have 3 commission slots open at a time, on a first come first serve basis. 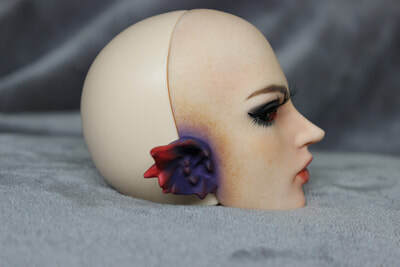 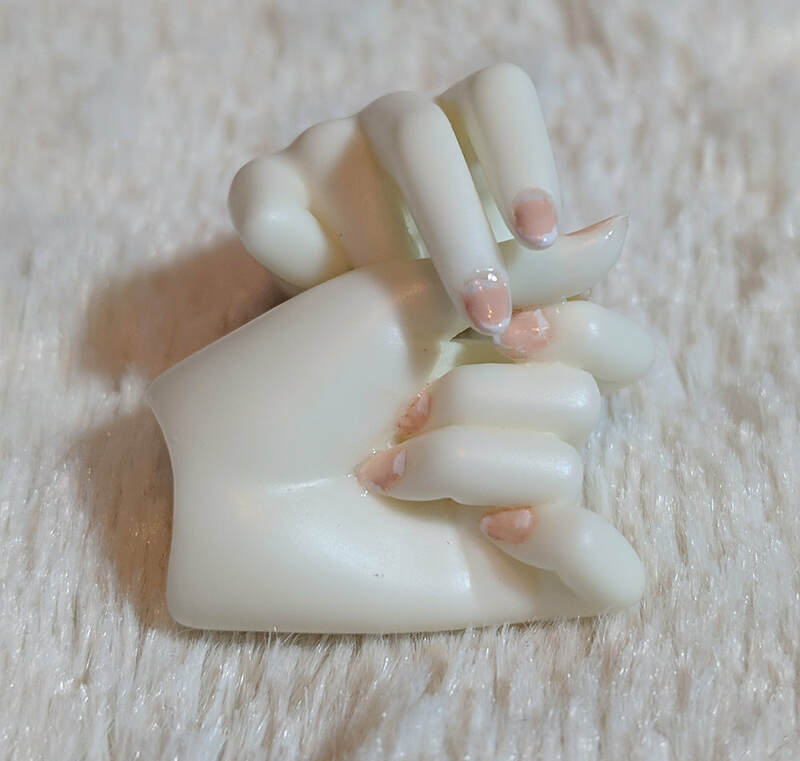 Each slot has a limit of two heads and up to 4 pairs of hands and/or feet OR one full body/parts + 2 head for blushing. 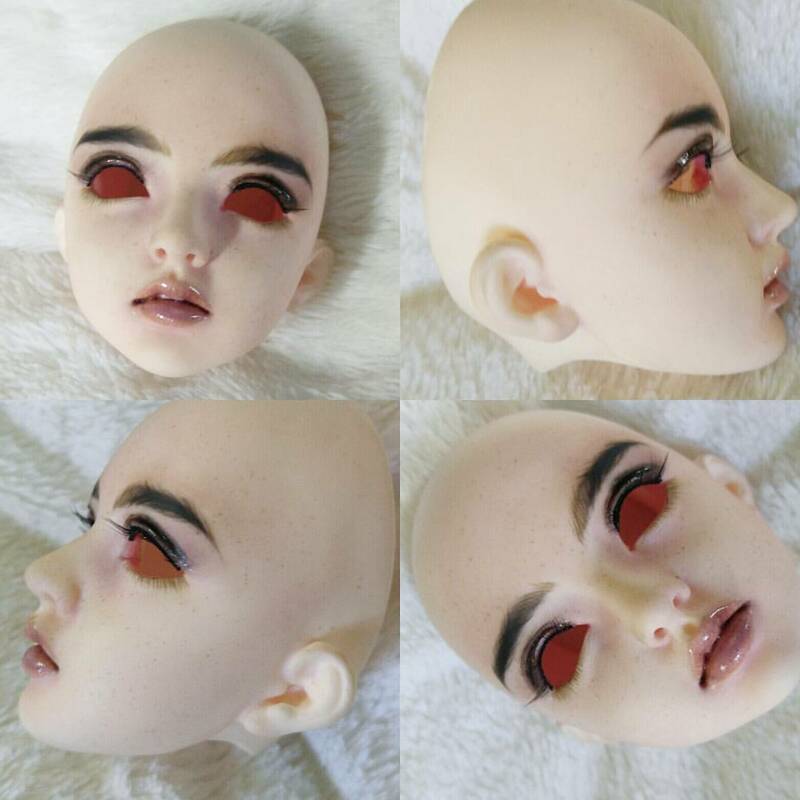 At the bottom of the page past the examples will be a commission form (when commissions are open) please read through it carefully and fill it out to the best of your abilities. 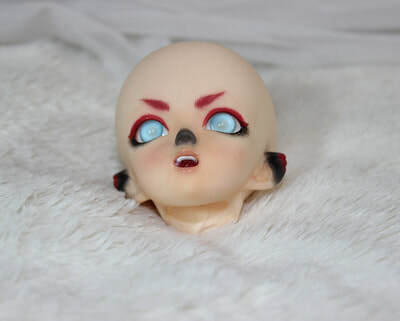 The form will be disabled once I have confirmed and filled the 3 open slots. 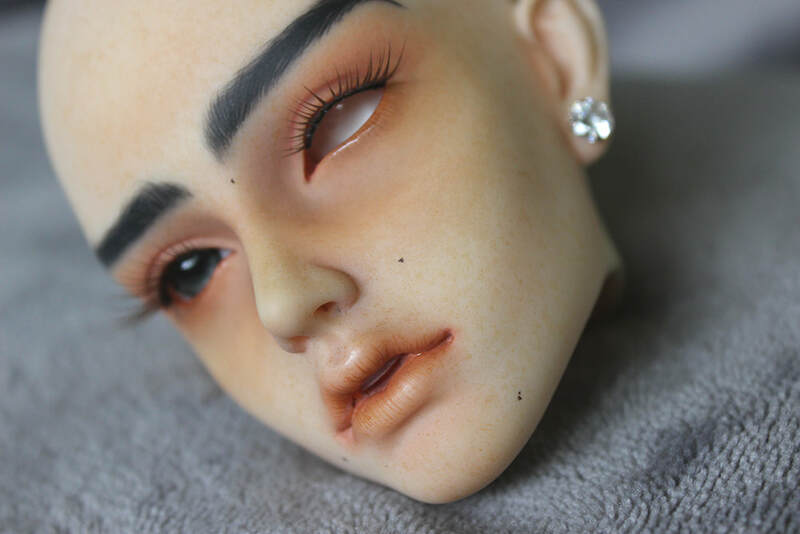 I will discuss payment plans, mock-ups, additional face up details or needs prior to fully confirming your slot to make sure that I can fulfill your request. 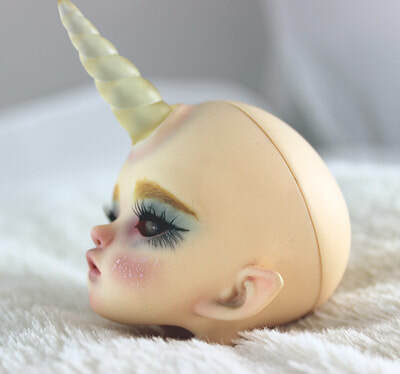 Once I have confirmed to take your commission, I will supply you with my shipping address. 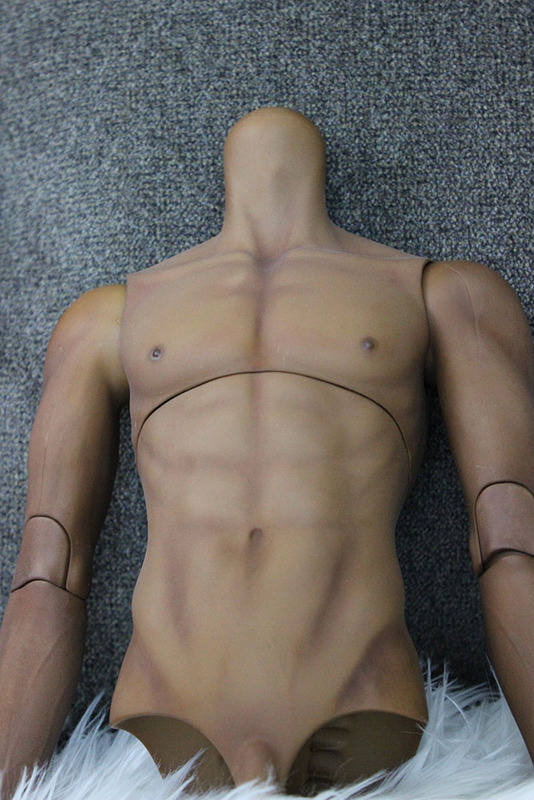 Once your items arrive I will inspect, clean and prep them for work. 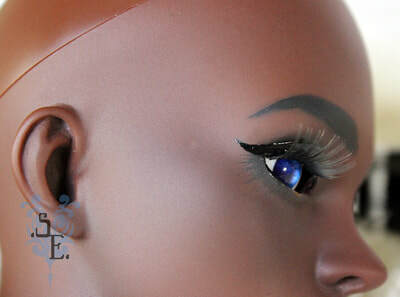 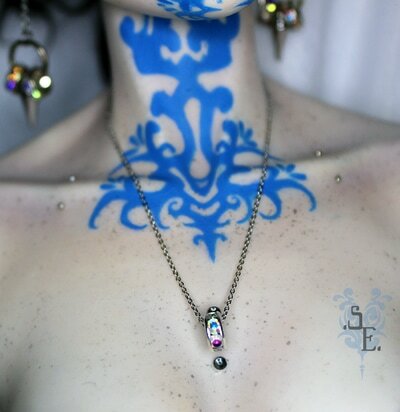 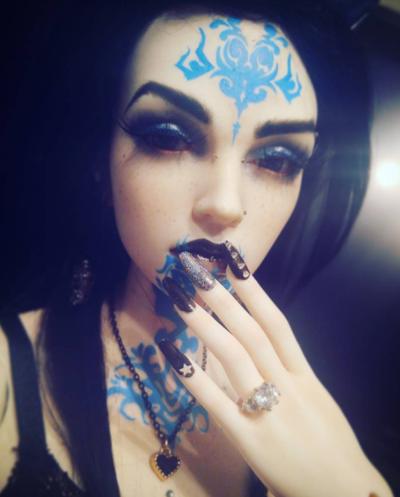 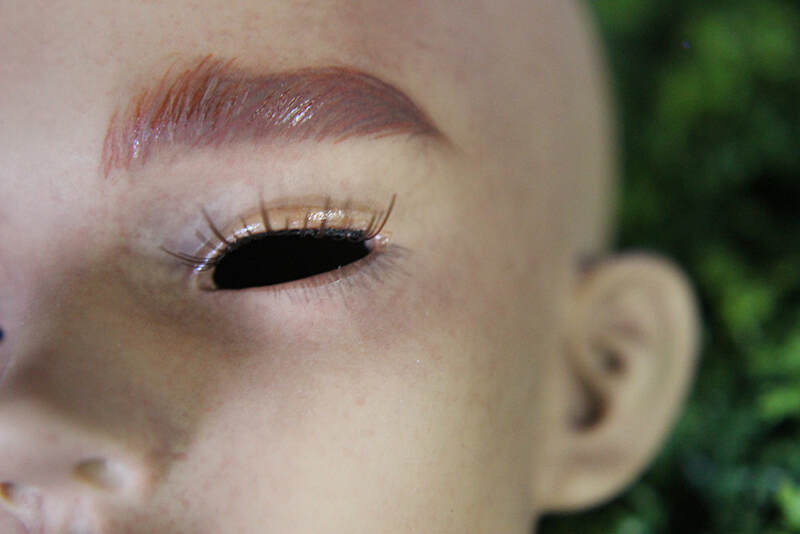 I will send progress photo updates at key stages; Brow shape and placement, makeup, tattoos, if any piercings have been applied, prior to final sealing, and directly after gloss and lash application (when applicable). 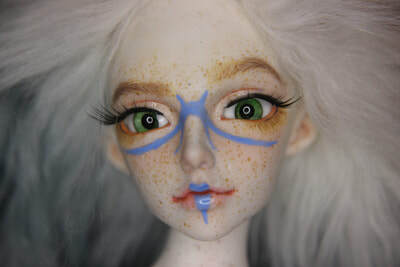 I will not replicate other artists’ works. 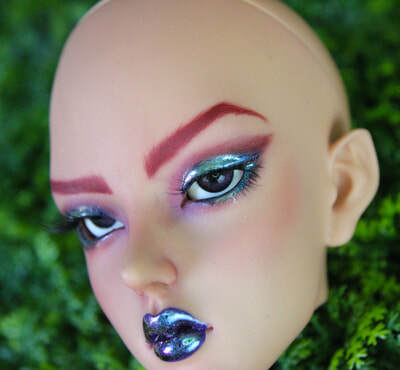 Exceptions: you have original artist’s written permission and I can confirm this with the original artist. 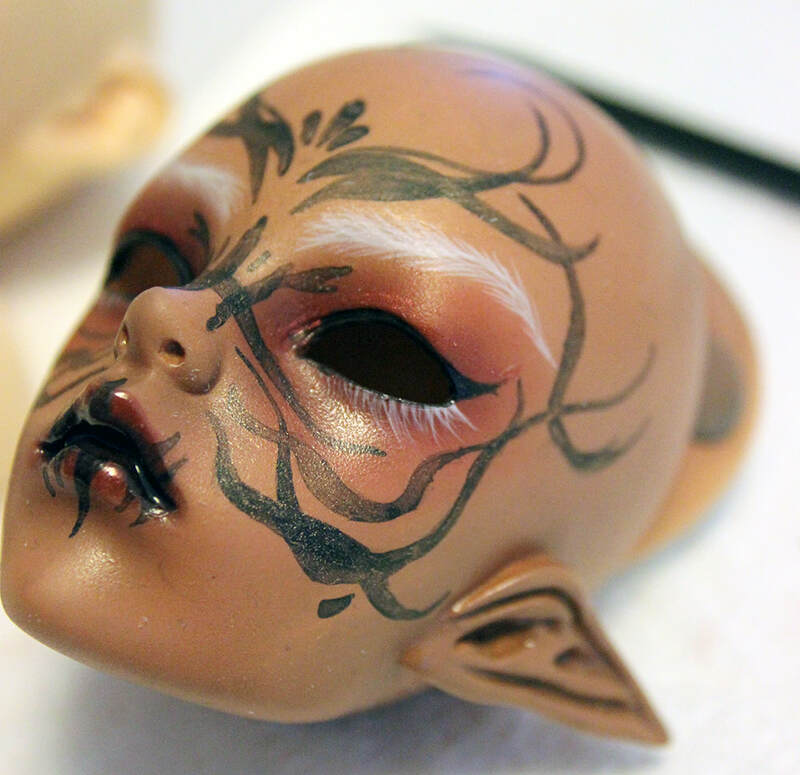 I do not wait list or reserve for the next month if my current slots are full. I lean towards realism with my face ups. 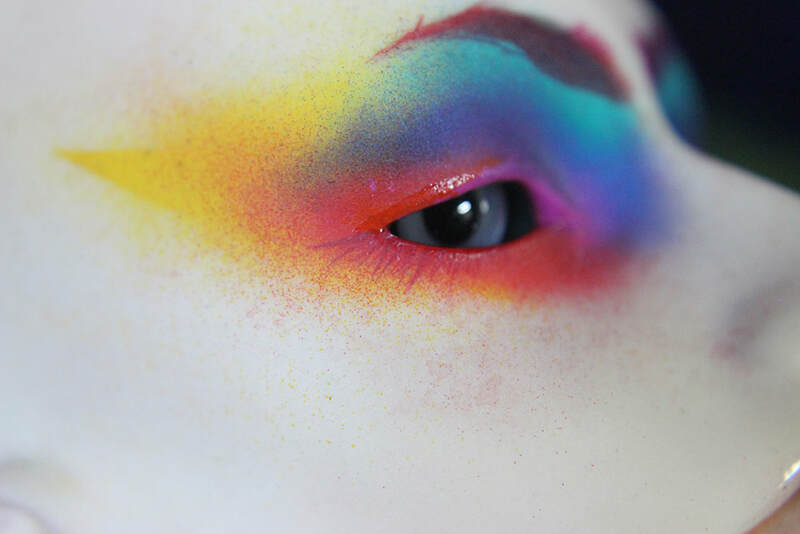 Blushing comes with blue and green undertones to simulate skin and skin texture. 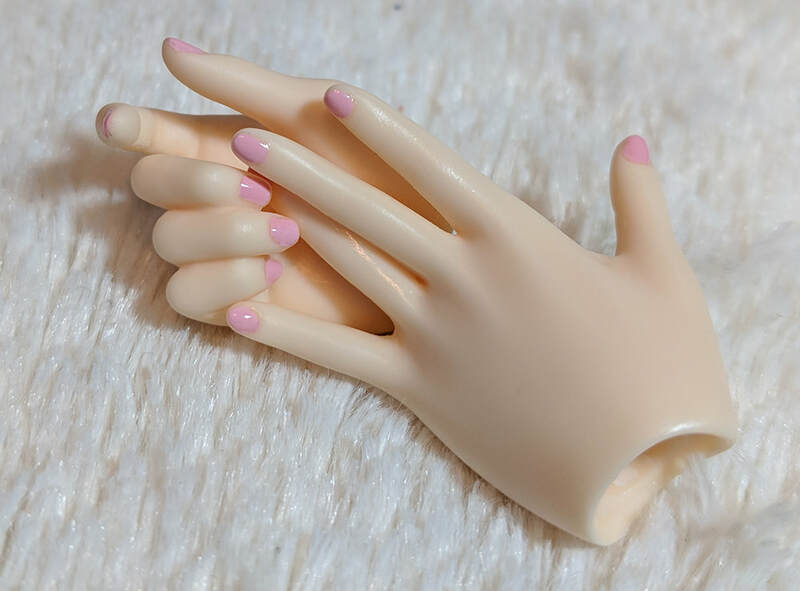 If you wish for something more basic please let me know in the comment section. I will not ship until I have received full payment by PayPal. 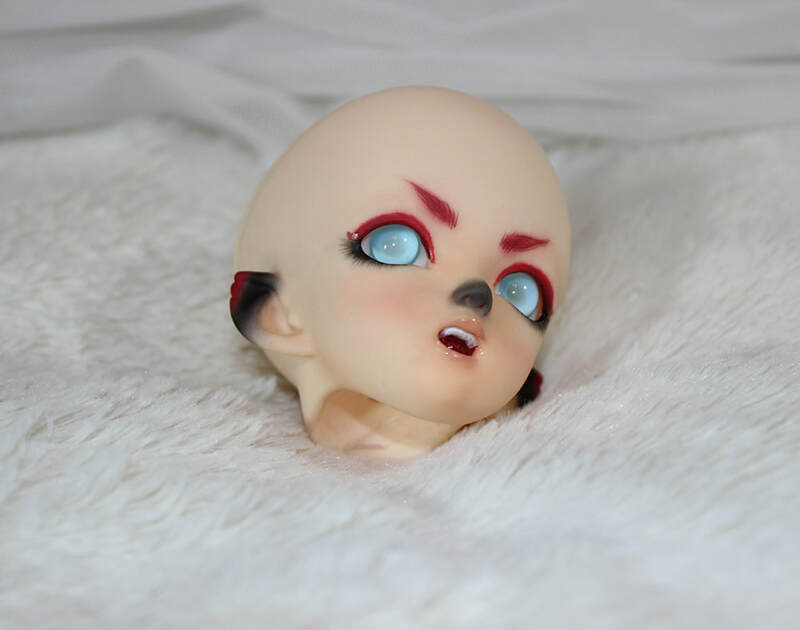 Prices do not include shipping. If located within the USA, default shipping is USPS First Class. 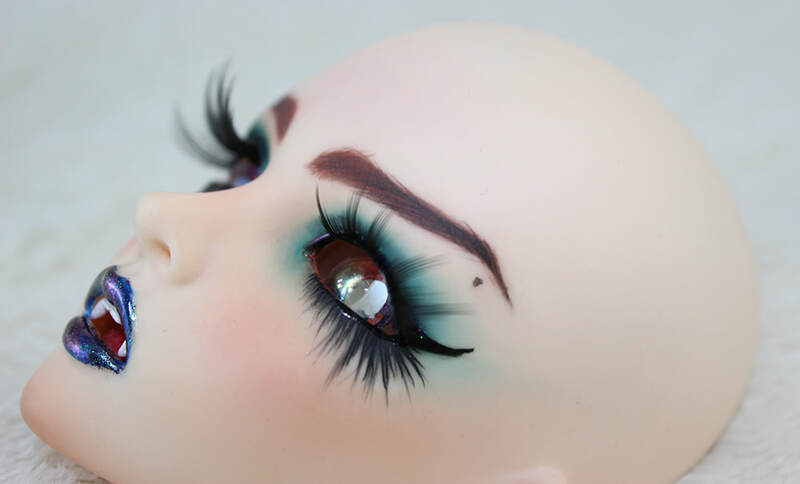 International packages will ship via First Class International which comes with tracking number. 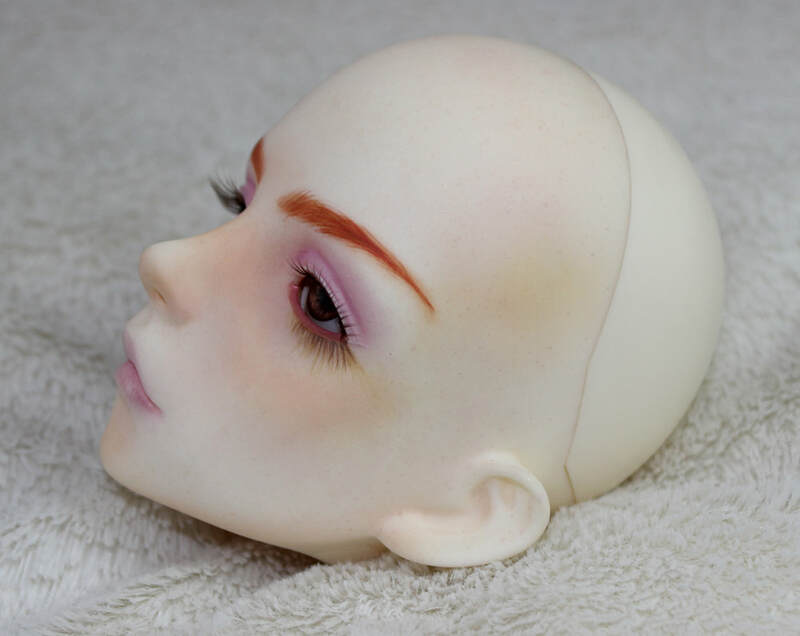 If you’d like to upgrade your shipping method, or require signature conformation, additional insurance or other services please specify. 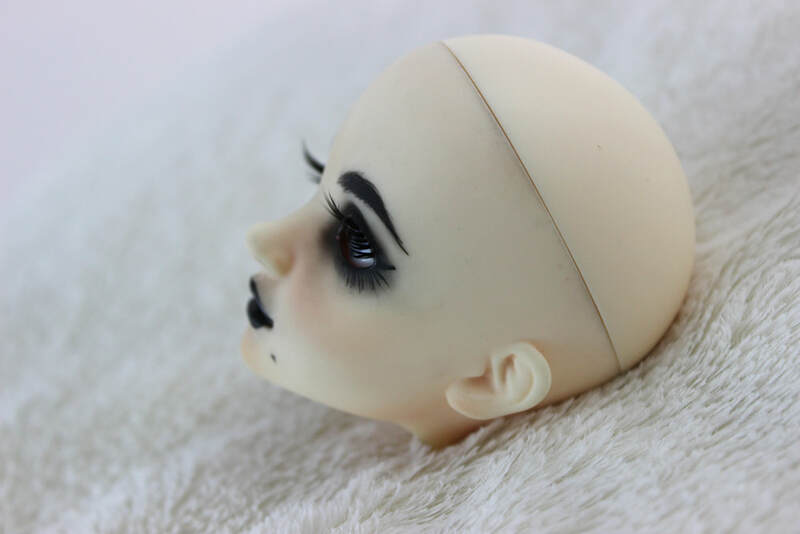 All items will be shipped back to you in the original shipping box when possible. Q: Do you have a wait-list or can I reserve a slot for an upcoming commission period? 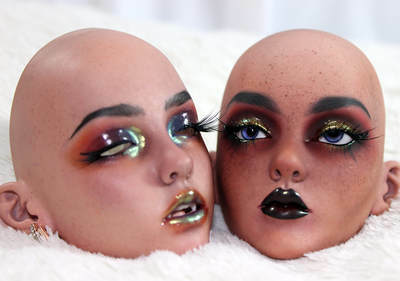 A: At this time, no. 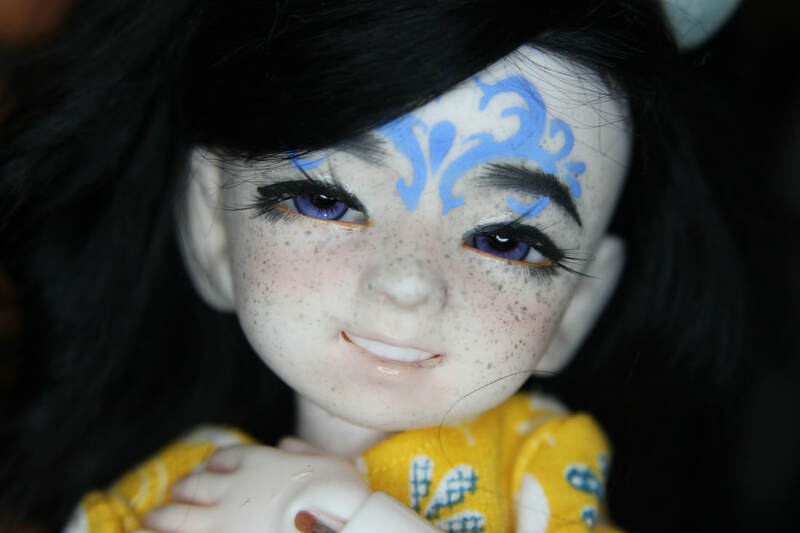 Due to my own personal schedule I may not be able to open up a new commission period directly after another has ended and therefore can not promise a reserved slot. 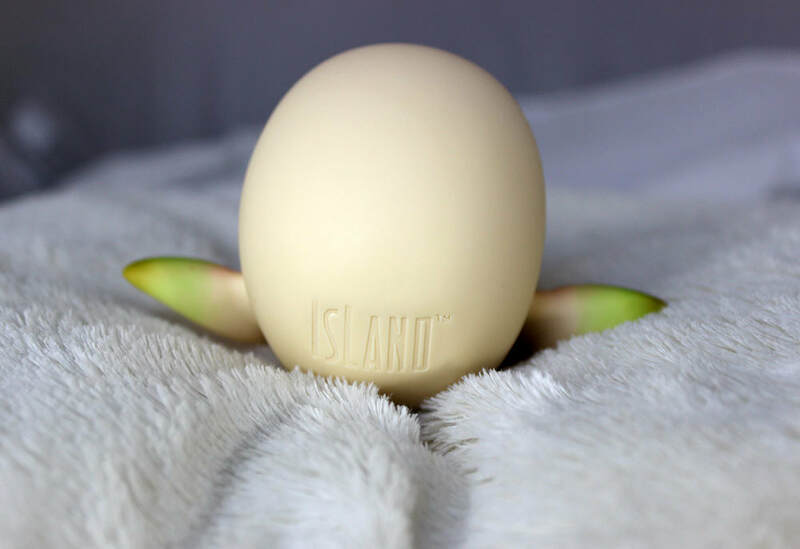 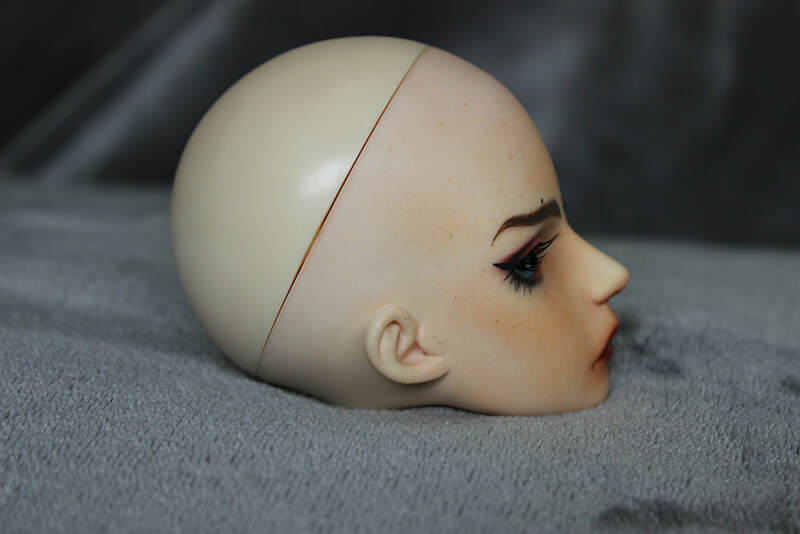 Q: What if I don’t like the face up? A: If it’s a minor change, or at a stage where a sealant layer hasn’t been applied over the top, the change can be made at no additional charge. 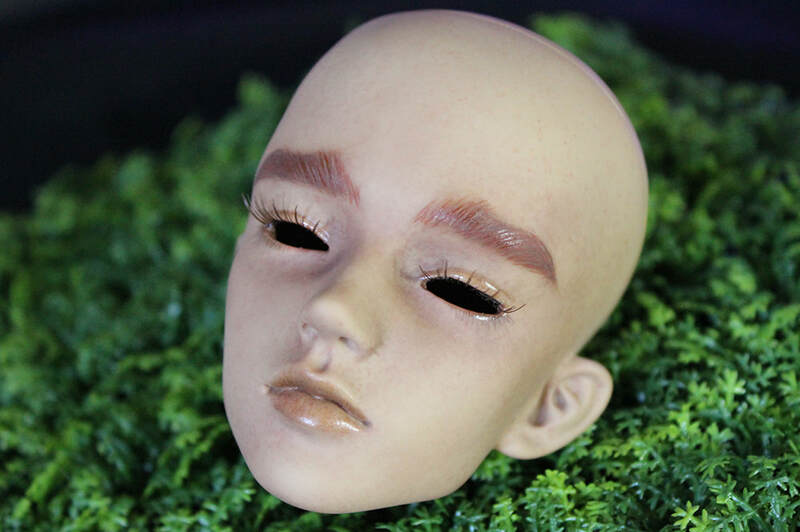 EX: Fuller lashes, or brows. Extra lip lines, more freckles. 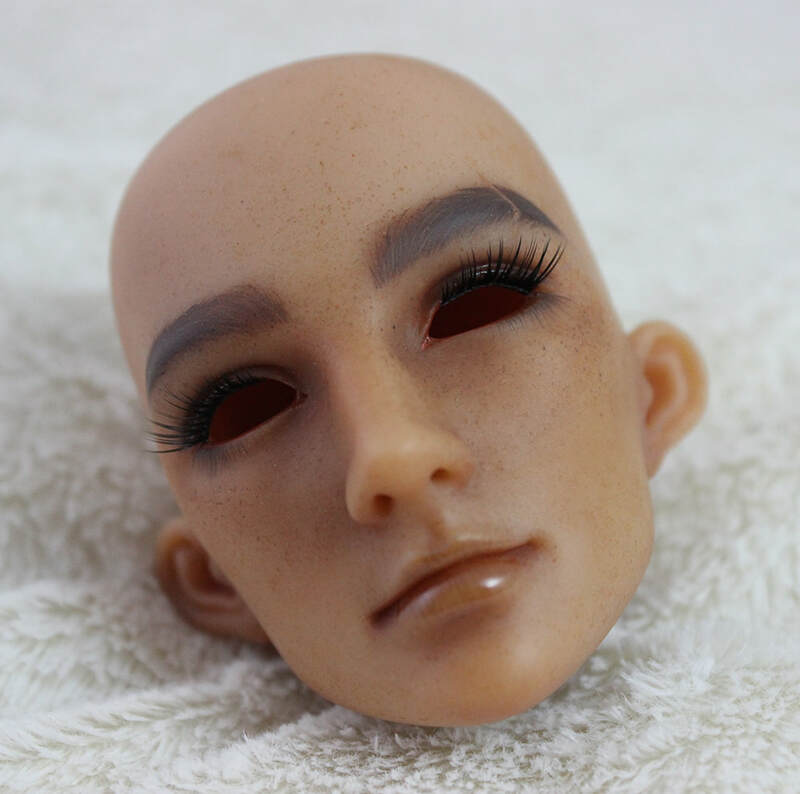 If however it’s something that would require wiping the face completely I charge half the original face up fee. 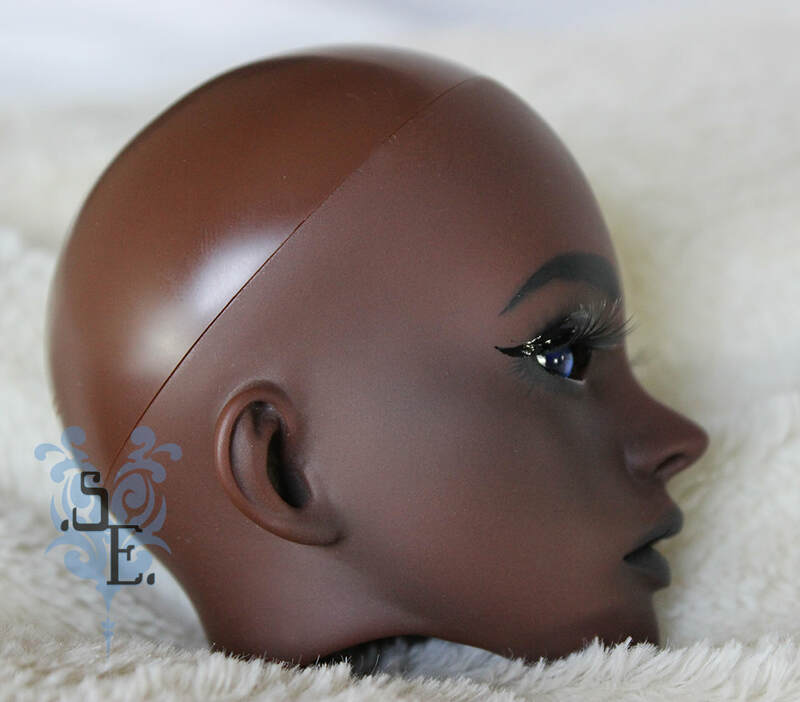 In the event we cannot come to a resolution or you simply do not like the results I will wipe the head and ship it back to you at cost of the shipping paid by you. A: Payment must be completed before the head is shipped back. 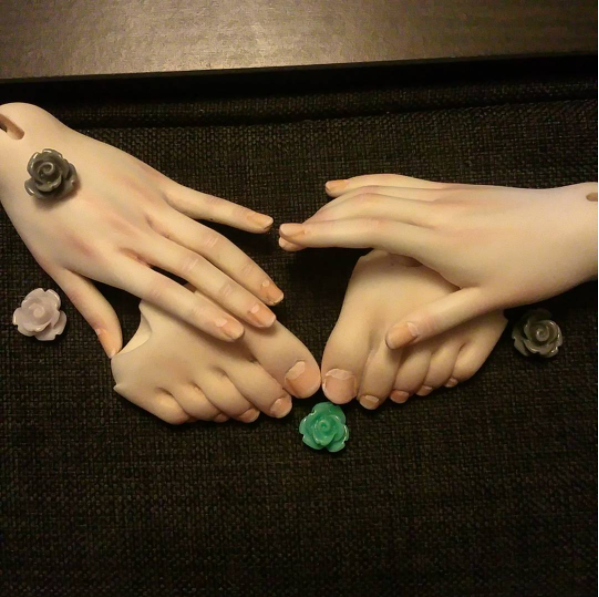 You can pay several ways. Upfront after we have discussed and confirmed your slot. 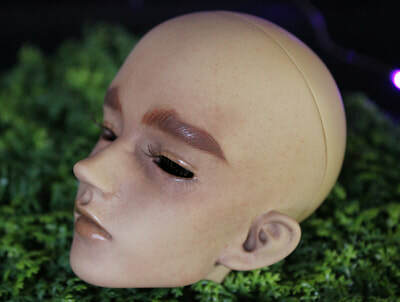 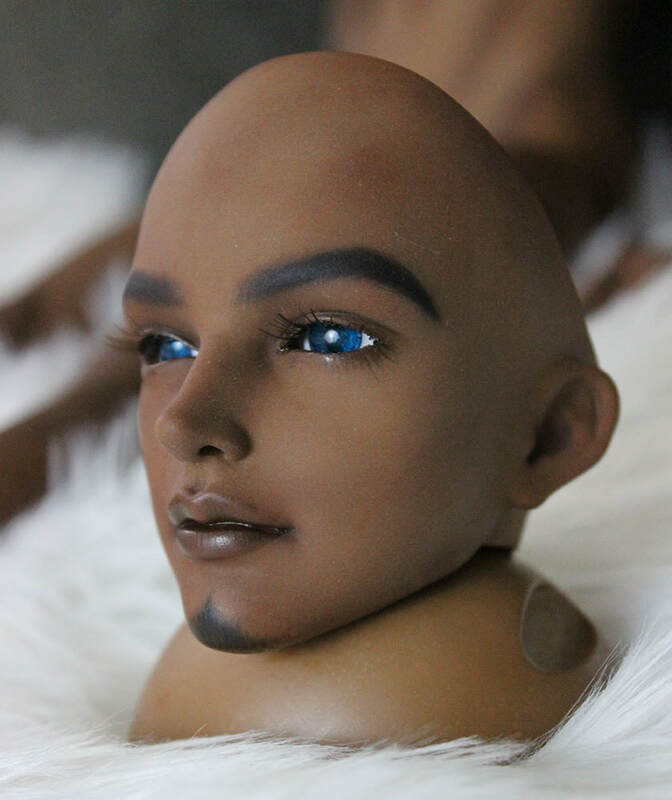 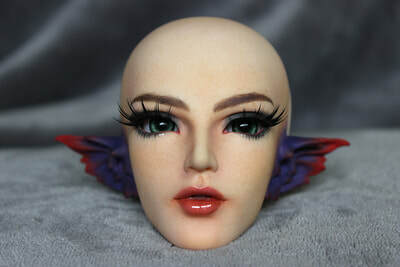 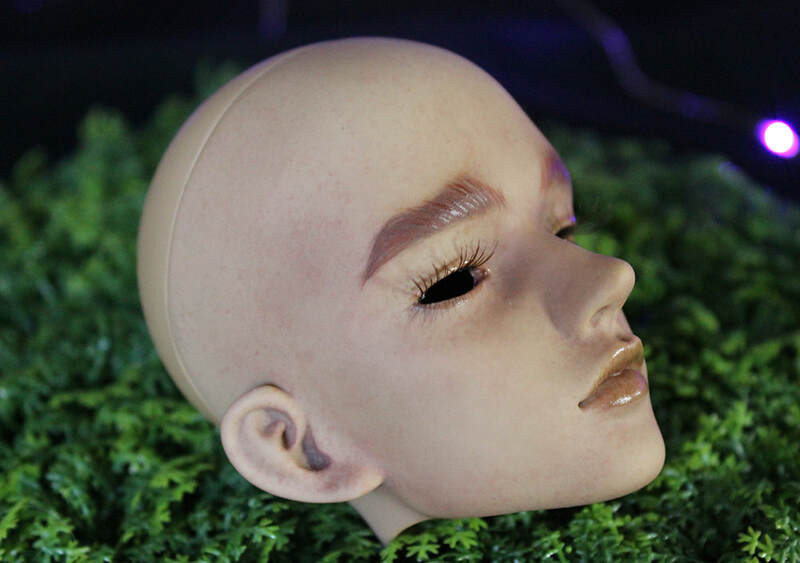 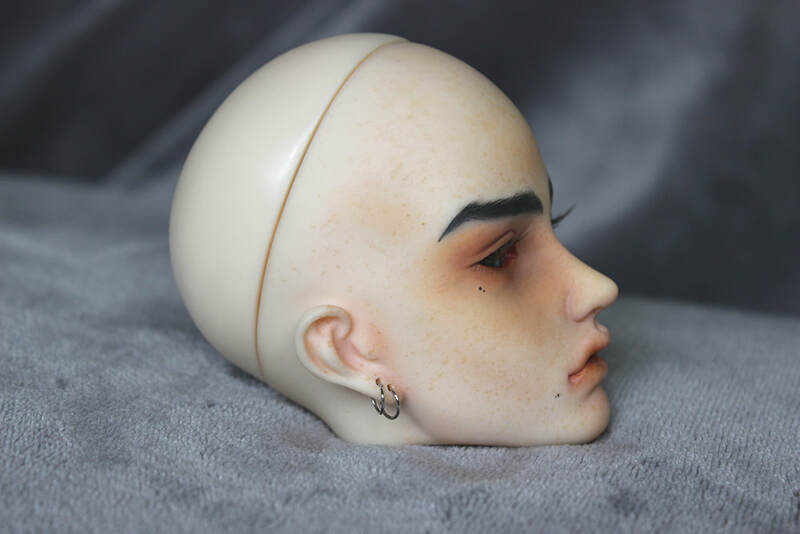 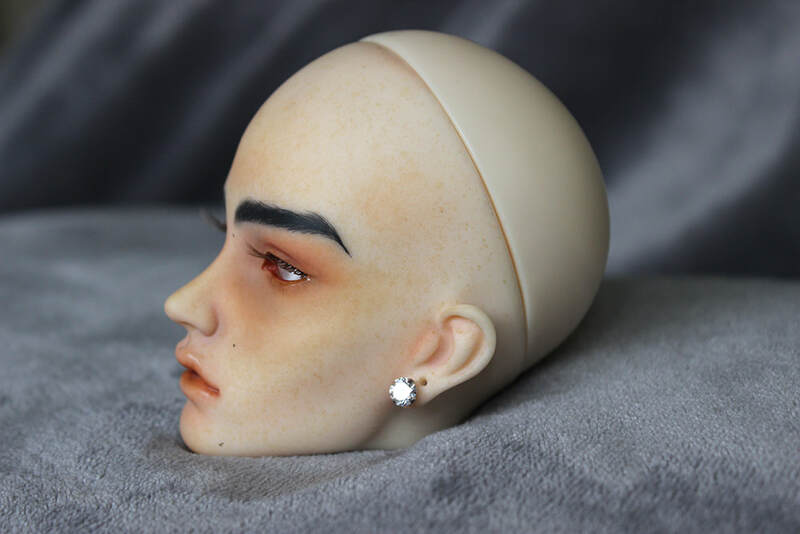 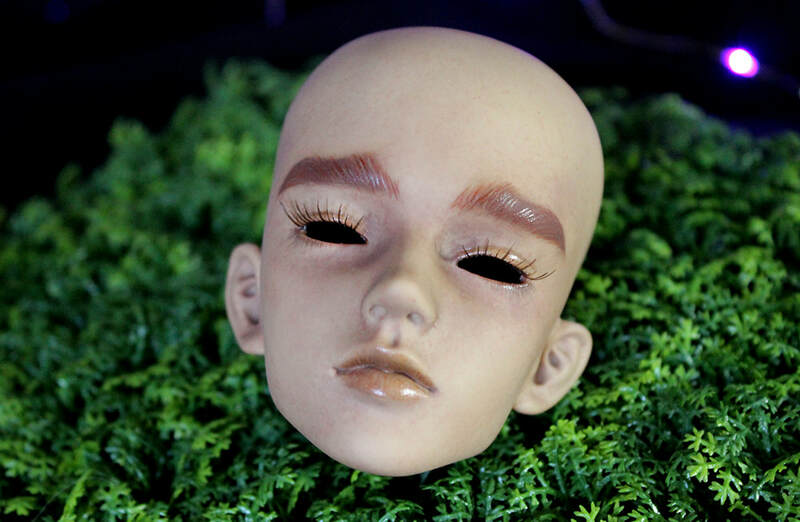 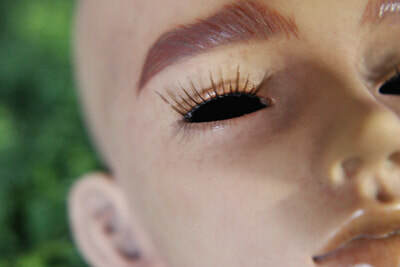 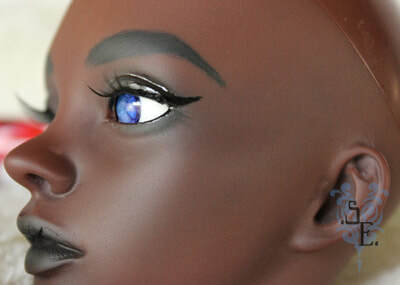 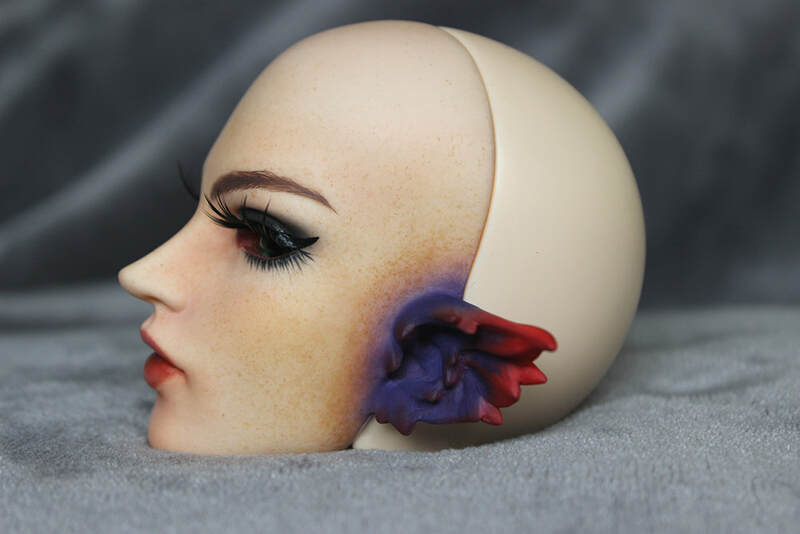 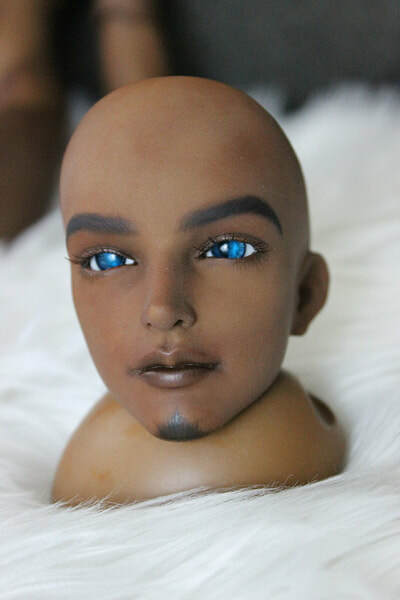 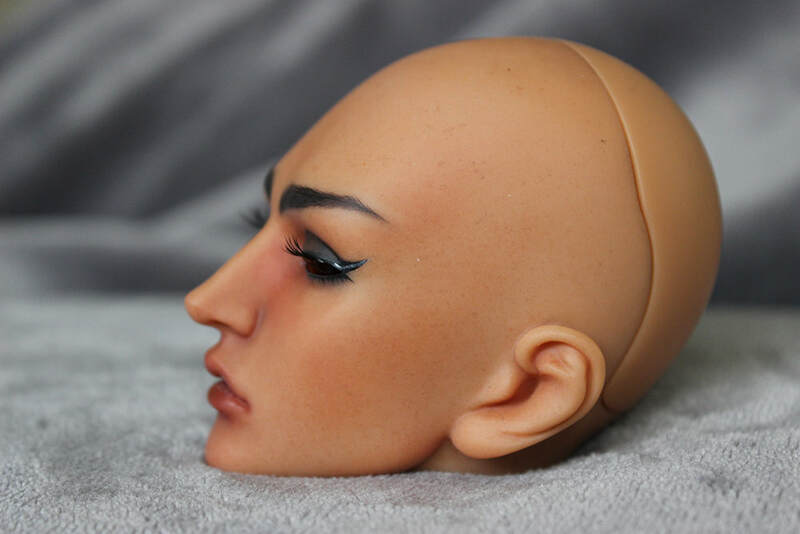 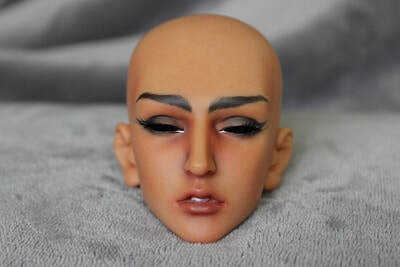 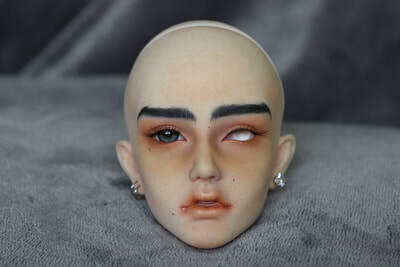 Partial at conformation with the remainder (including shipping costs) upon completion and final approval of faceup. 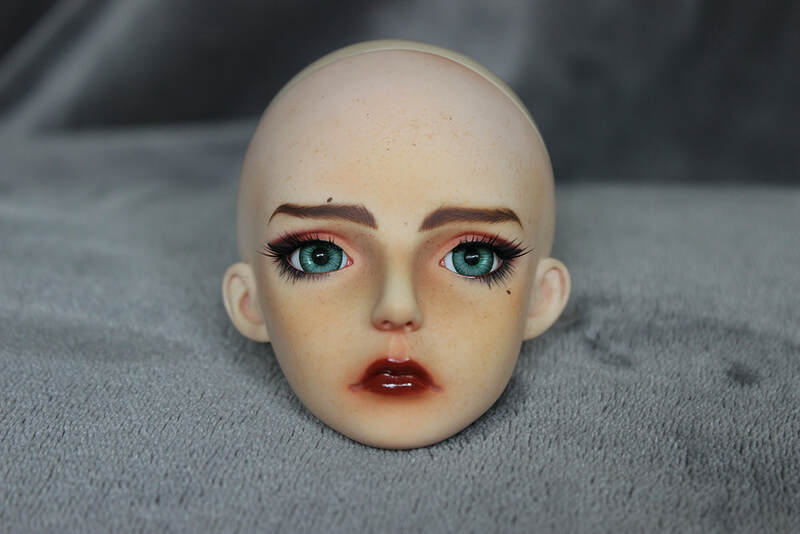 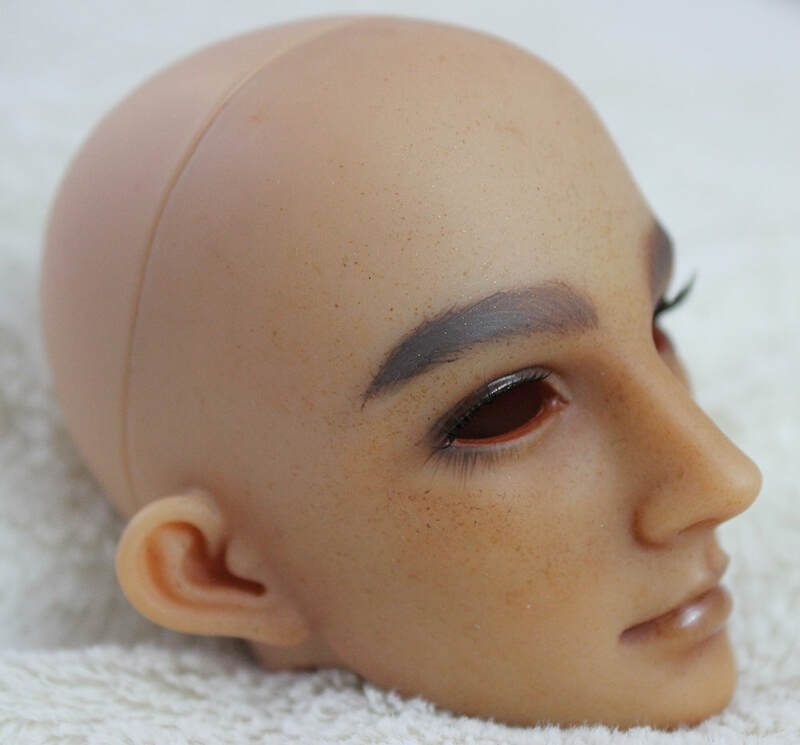 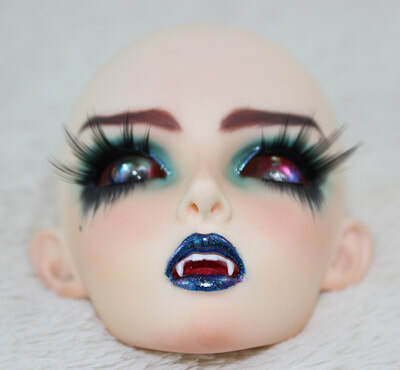 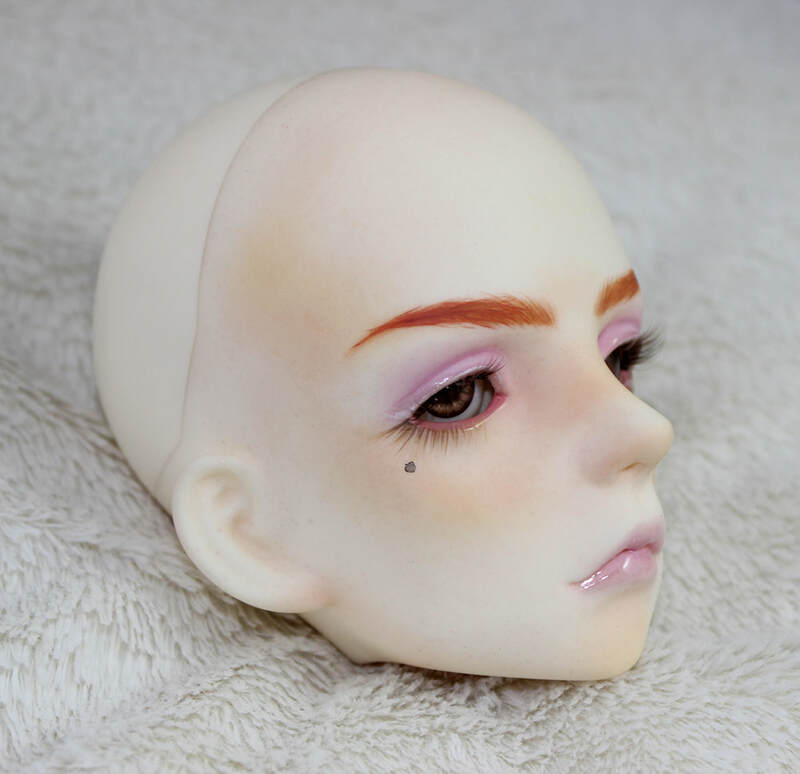 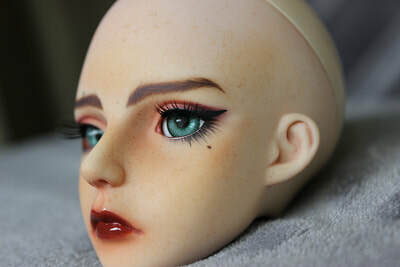 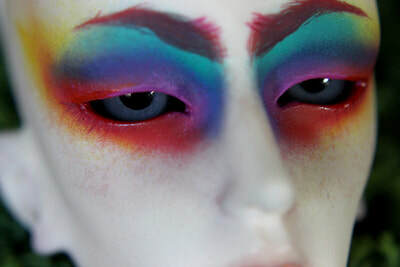 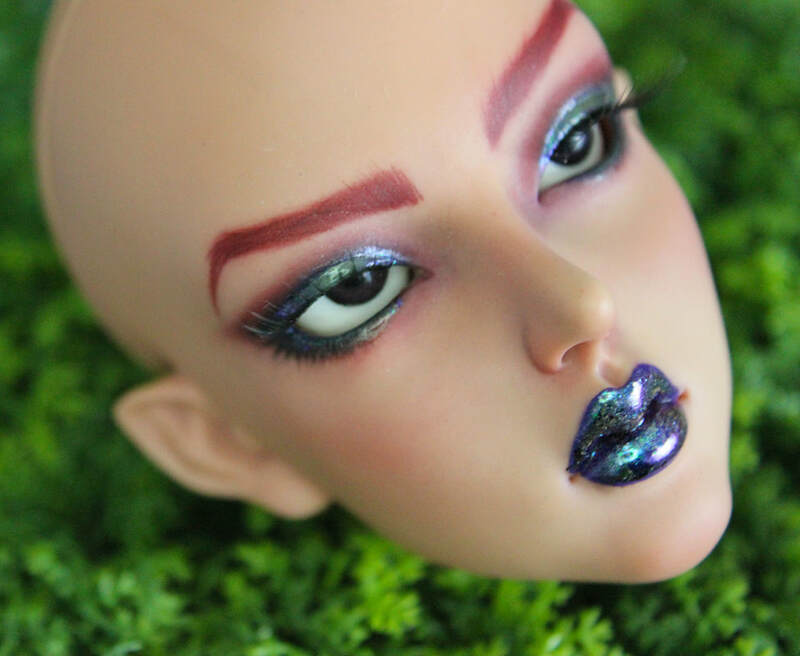 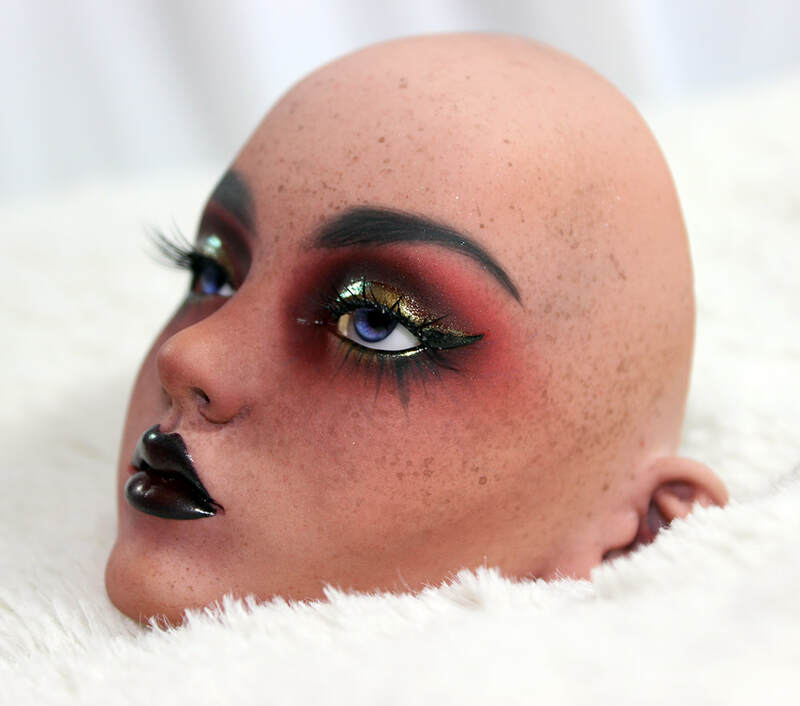 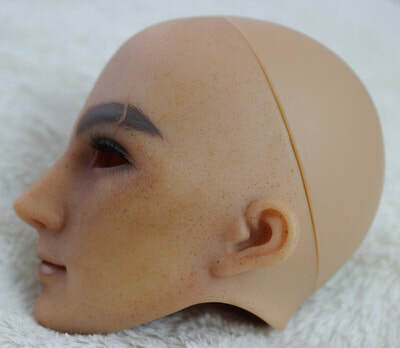 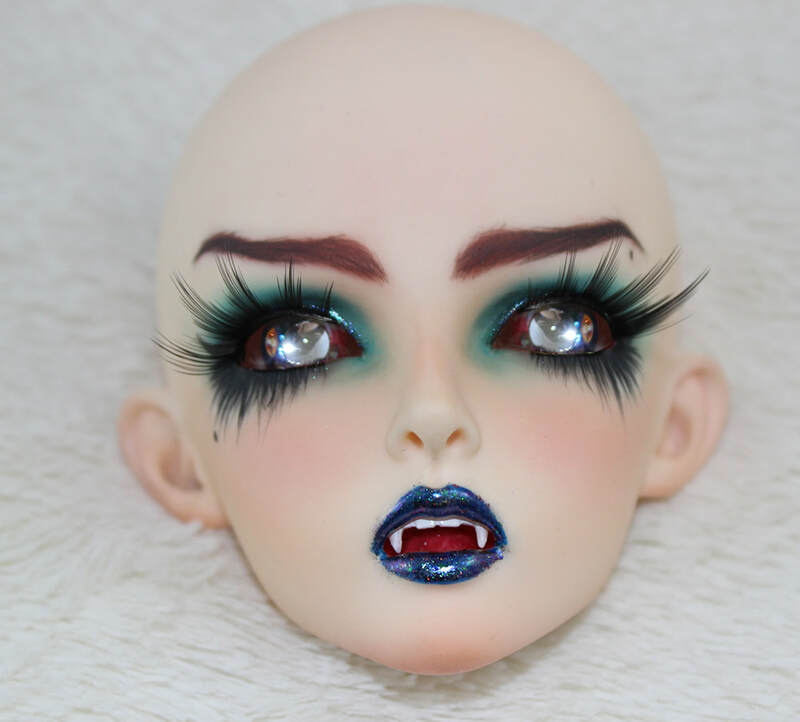 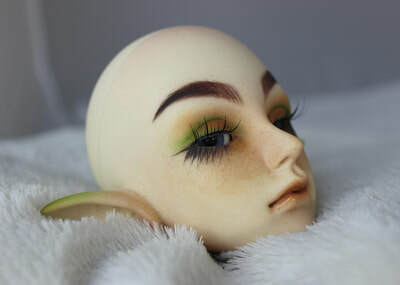 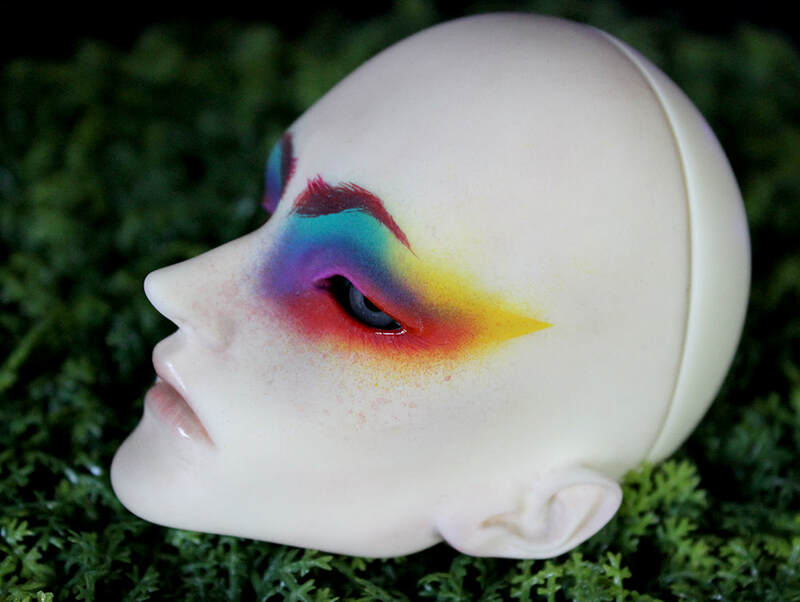 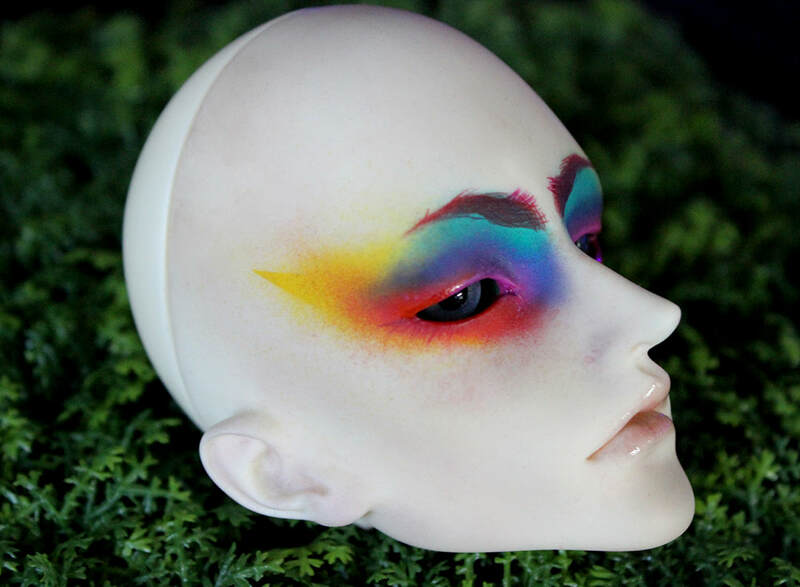 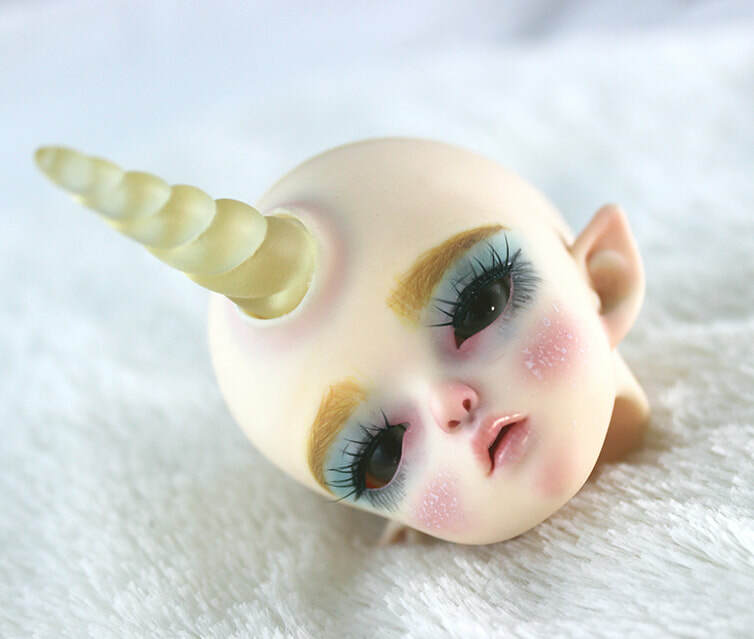 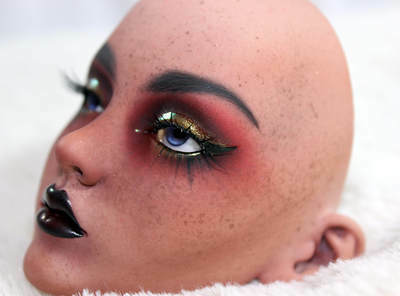 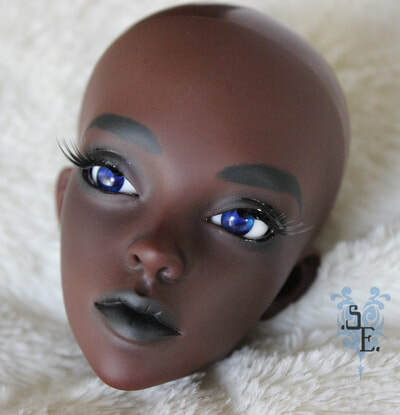 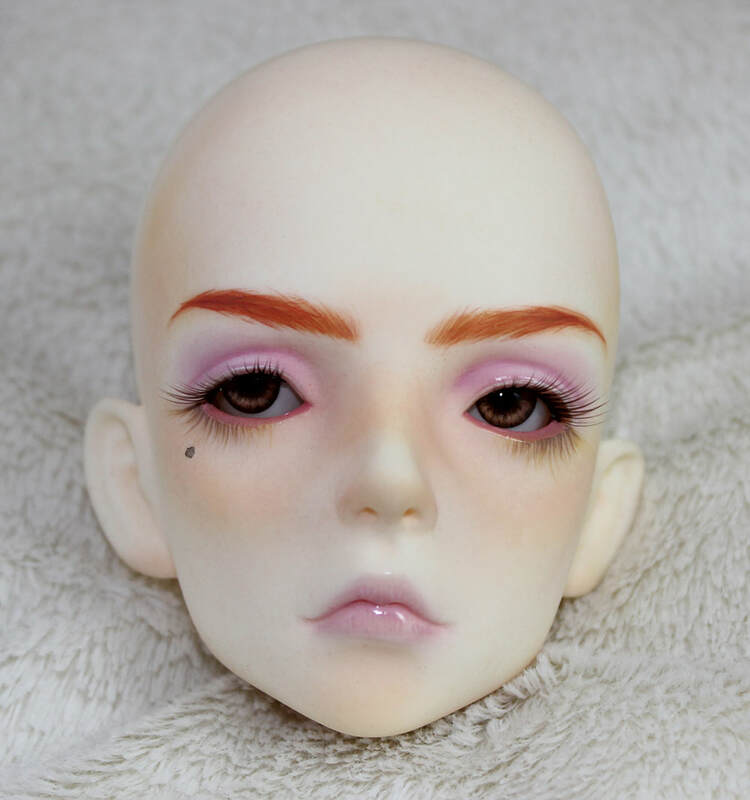 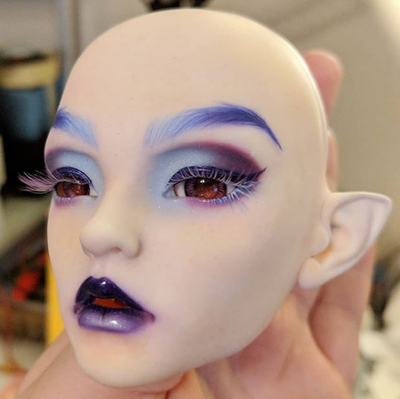 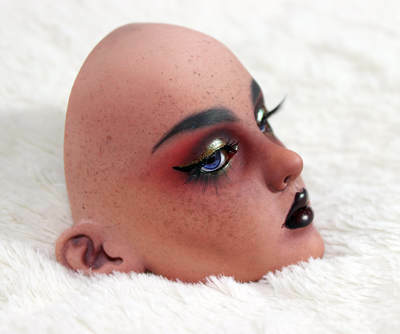 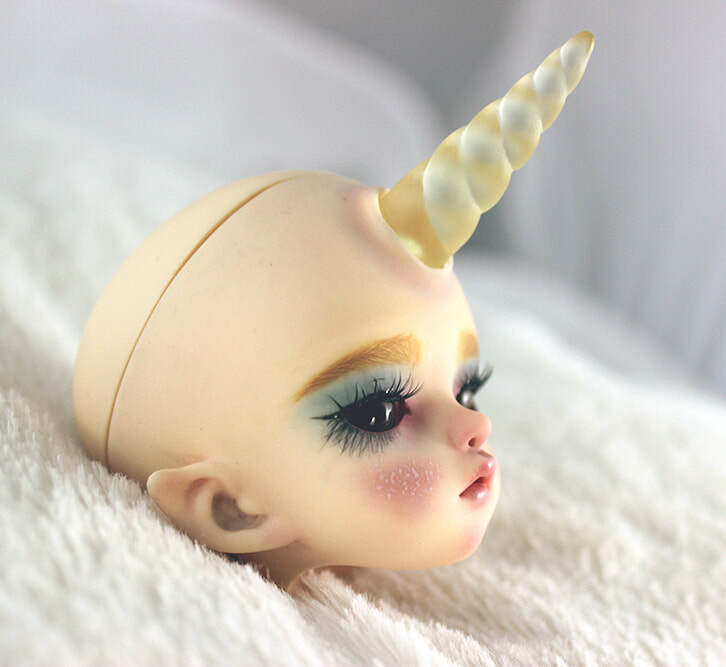 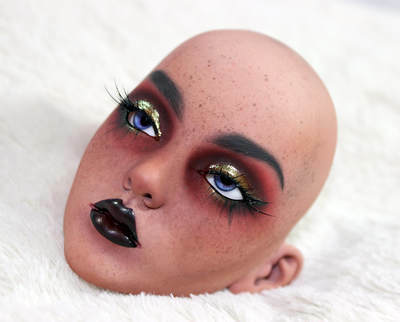 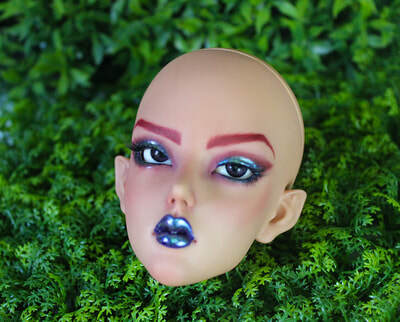 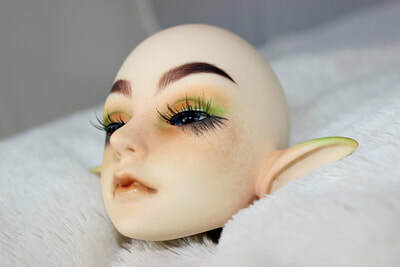 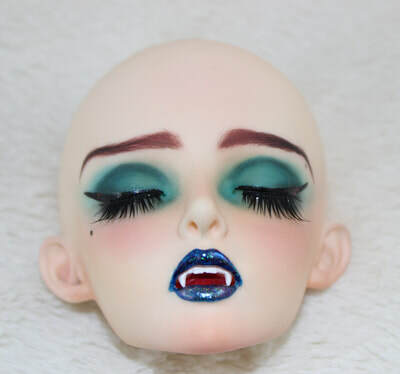 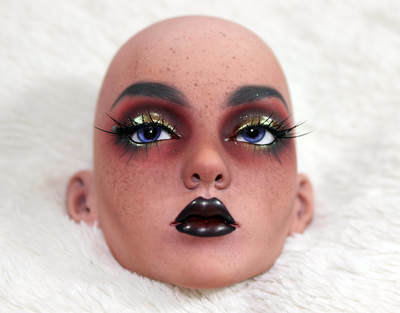 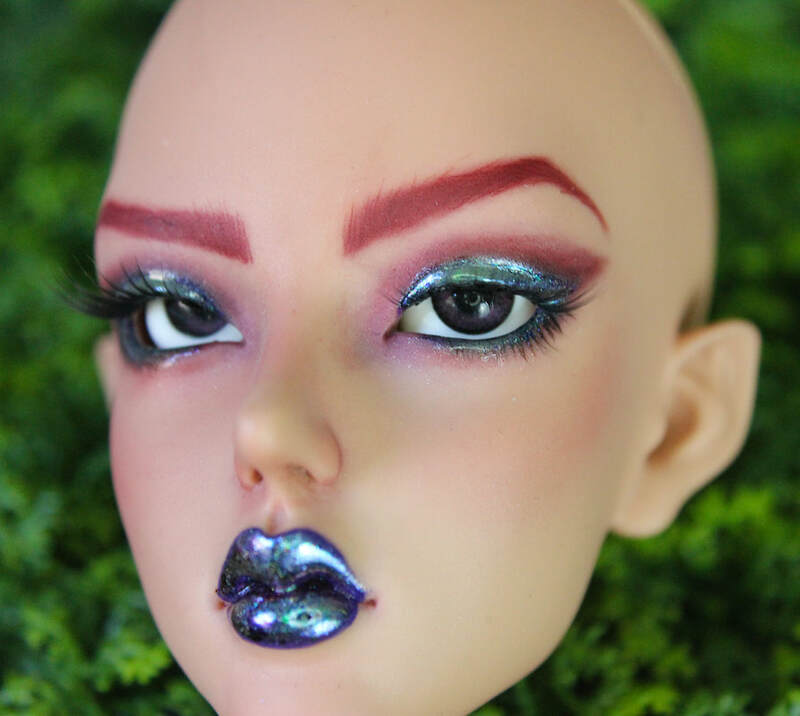 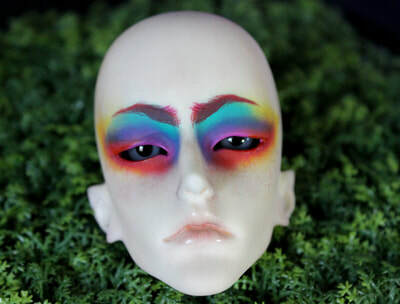 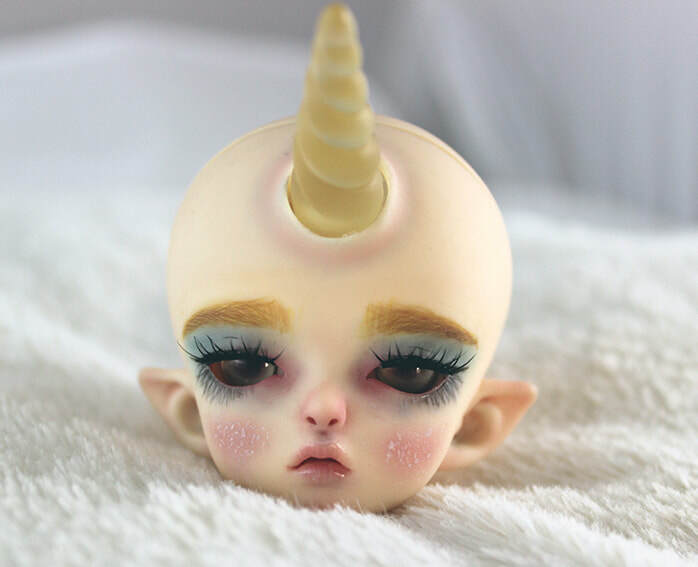 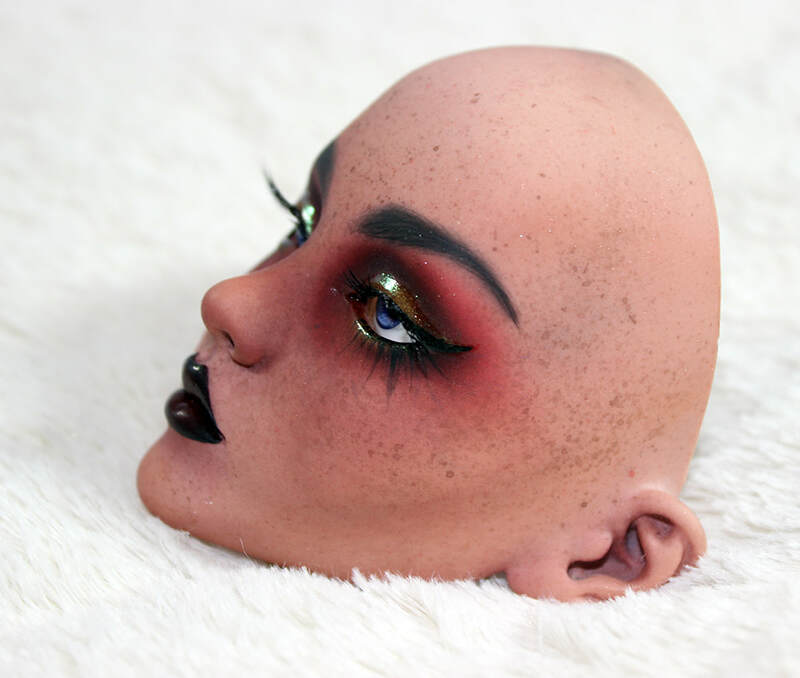 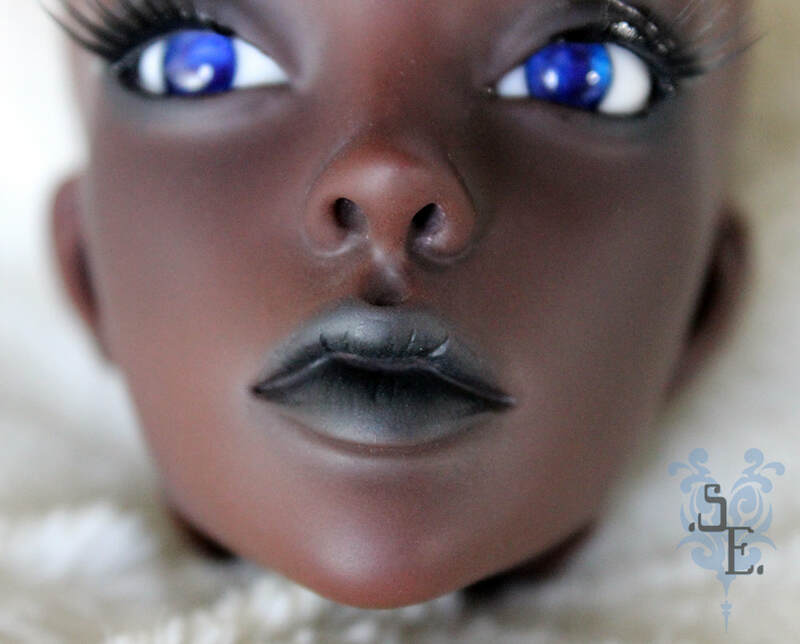 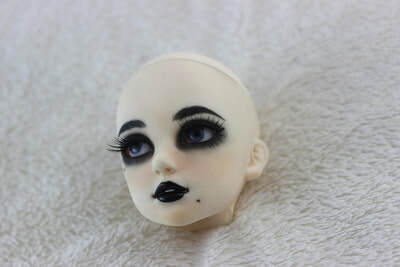 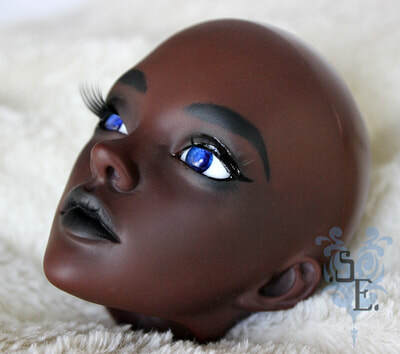 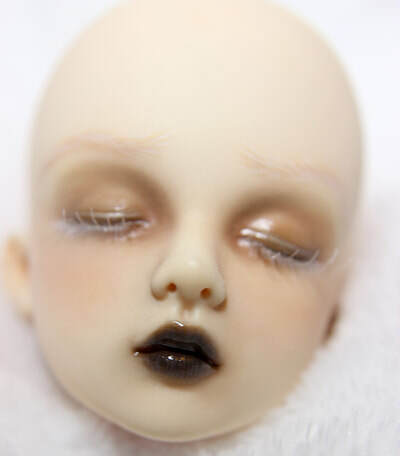 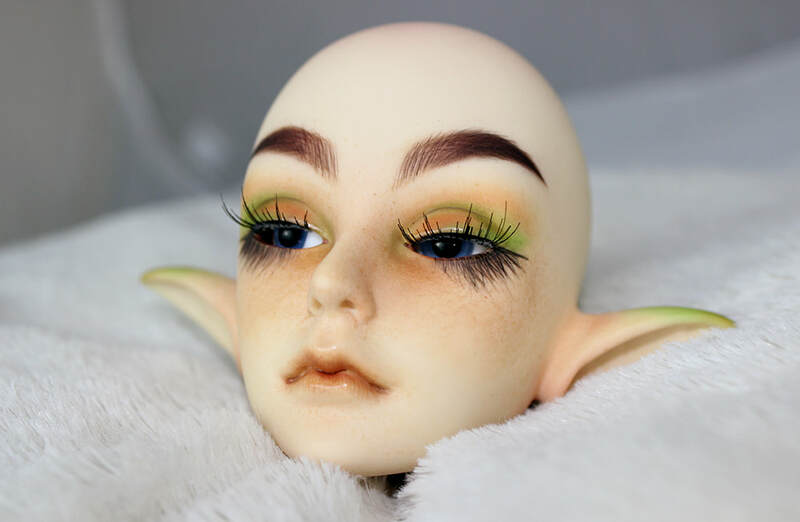 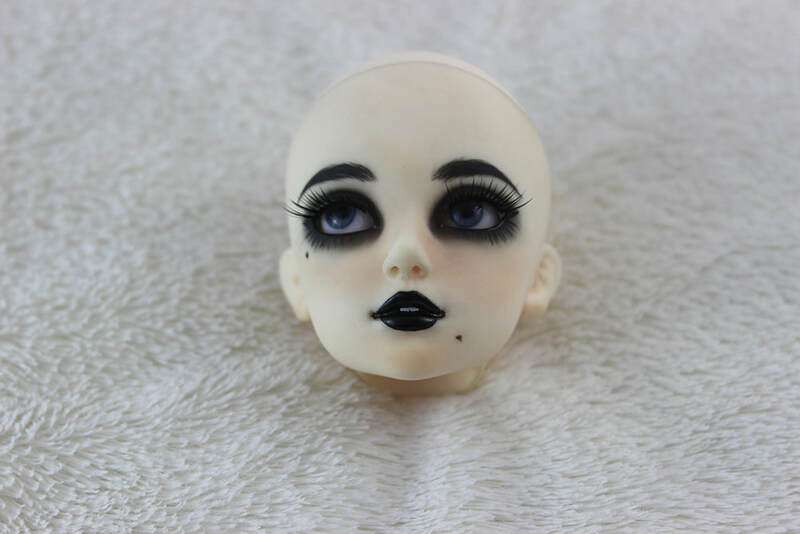 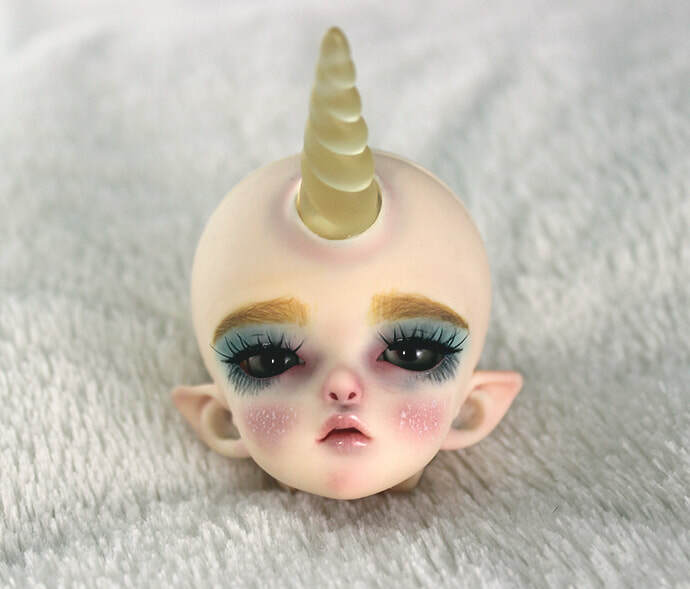 At the end after you have fully approved the faceup. If you would like to do a layaway please discuss this with me before hand for terms. 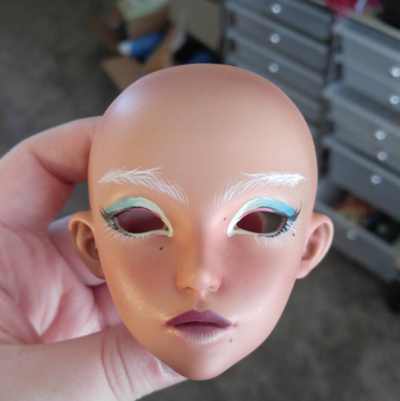 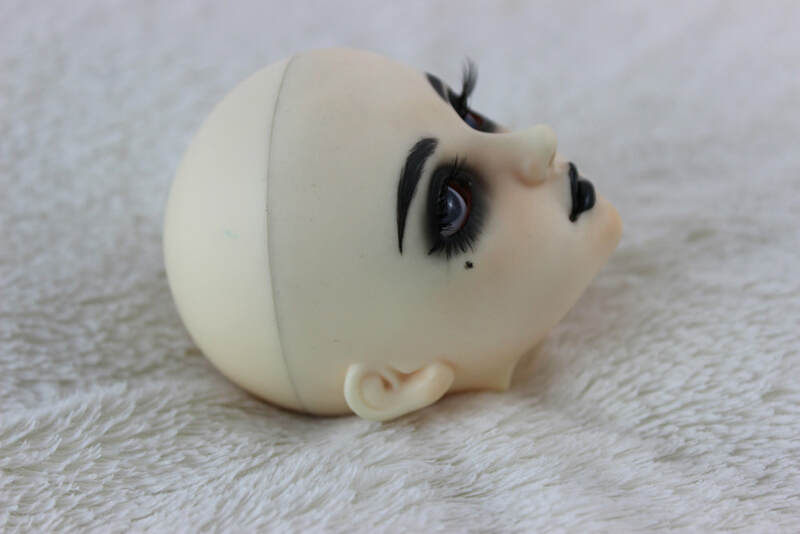 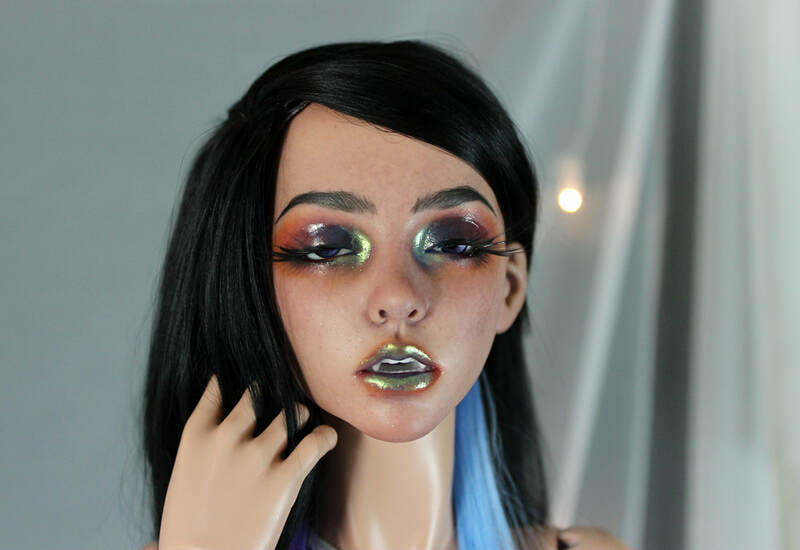 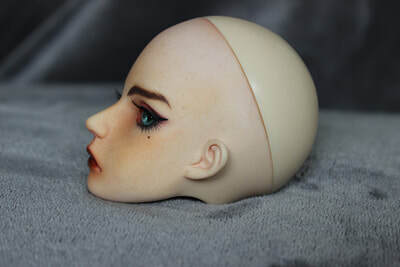 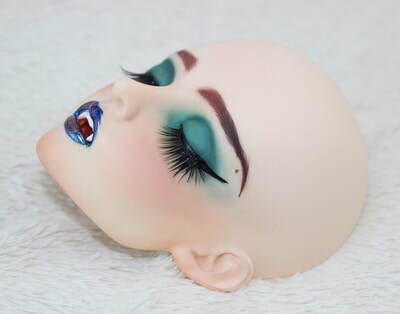 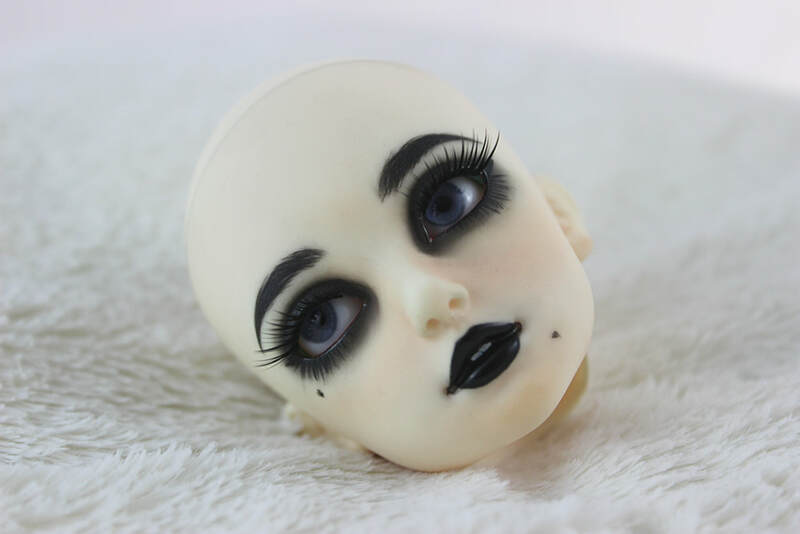 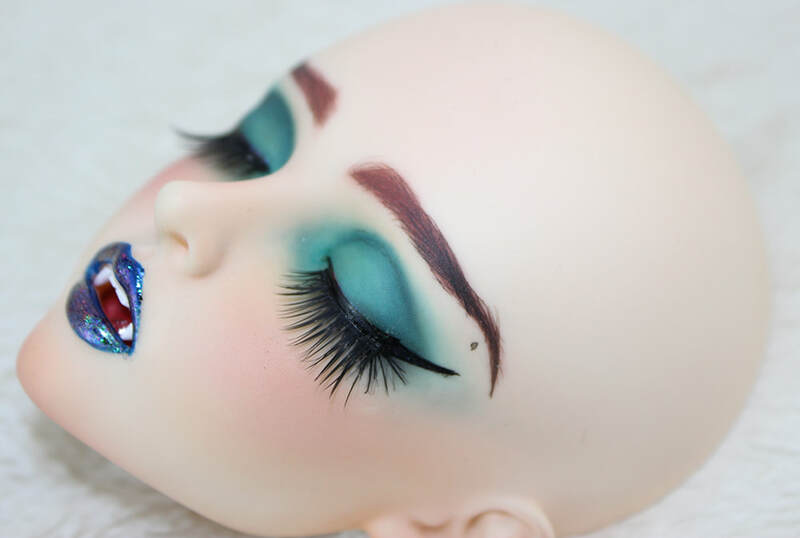 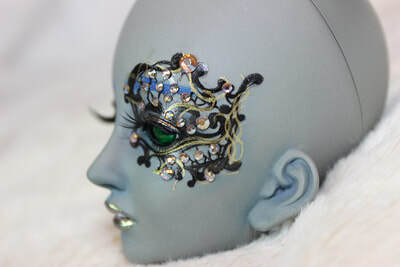 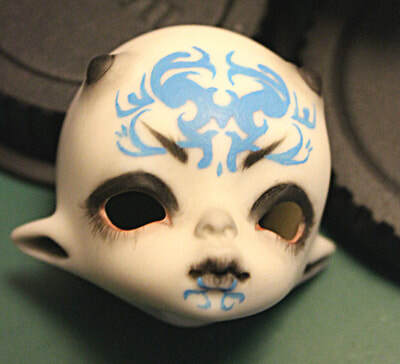 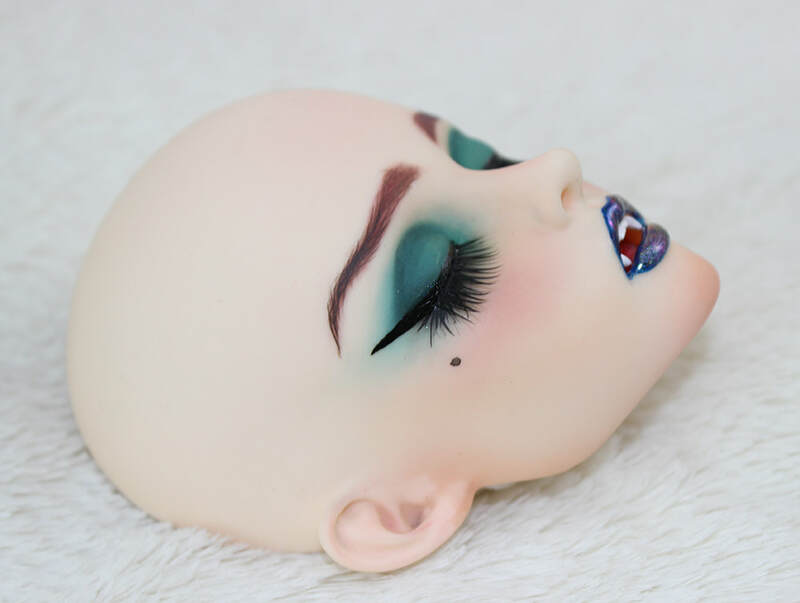 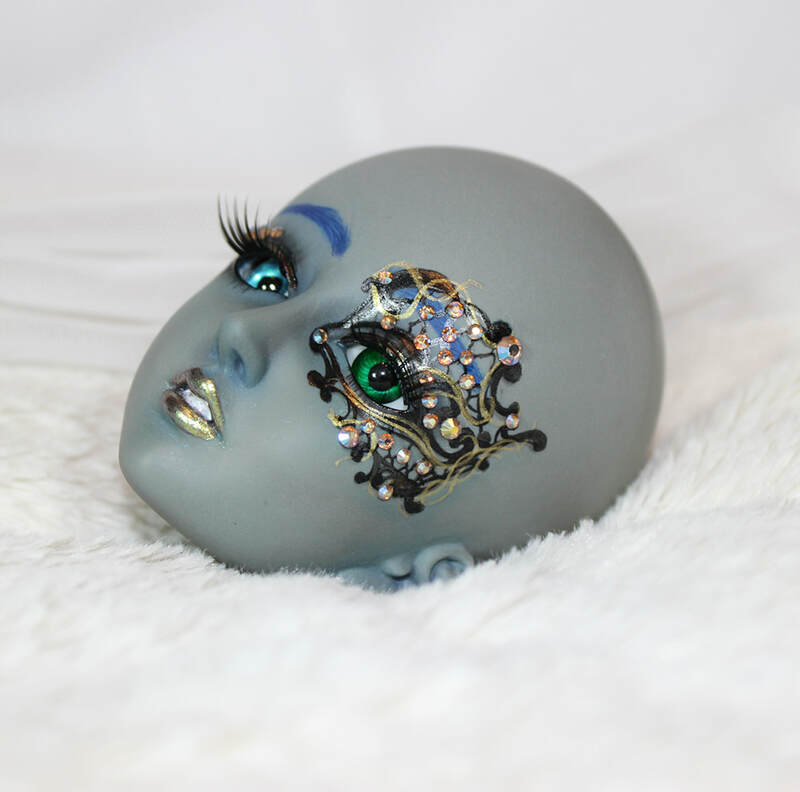 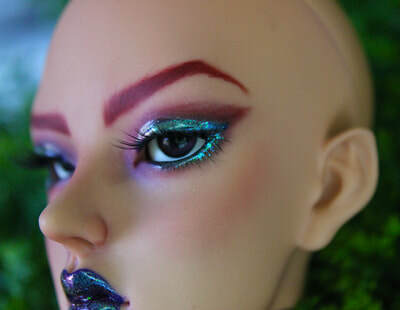 Q: What materials do you use for face ups? 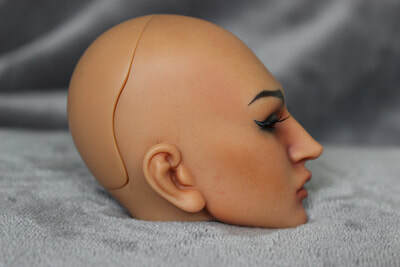 A: Face up removal and general cleaning: 70%-90% Isopropyl Alcohol, ultrasonic cleaner and dawn dish soap, Windsor & Newton only when absolutely needed. 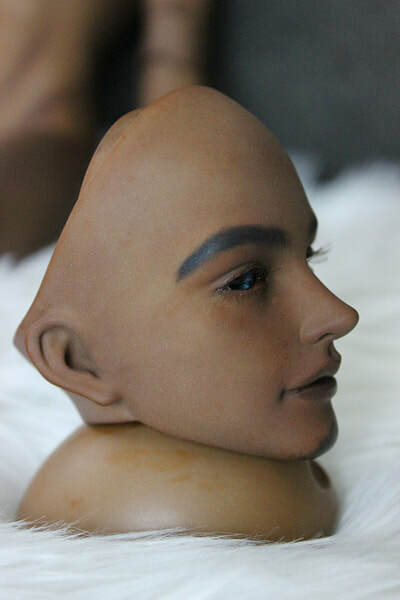 Face up Materials: Rembrandt, Pan and Schmincke Pastels, Liquitex and Golden Acrylics. 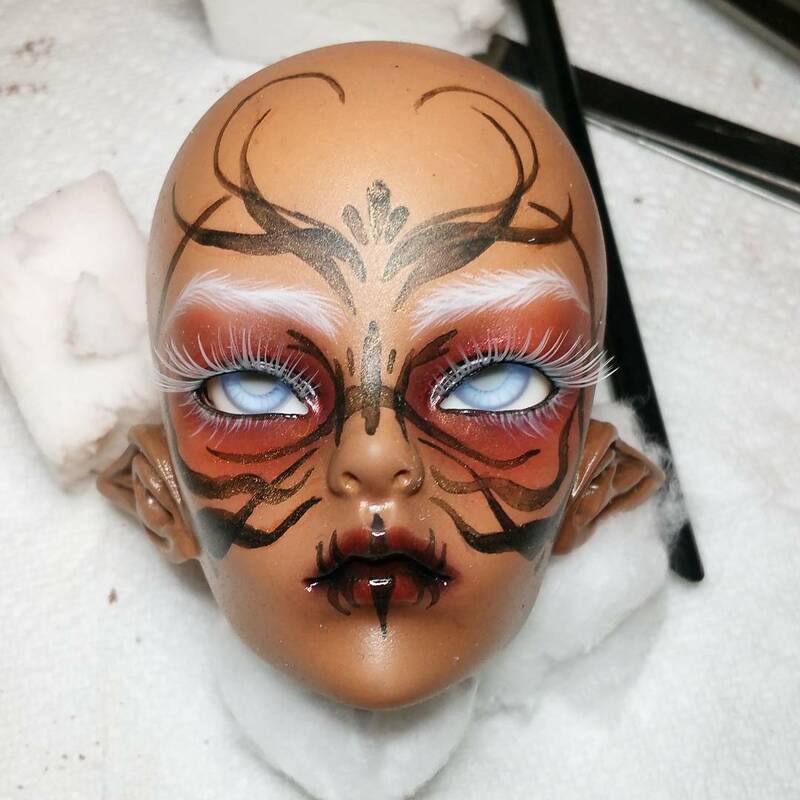 Sealants, Varnish and Gloss: Liquitex matte medium/matte varnish. 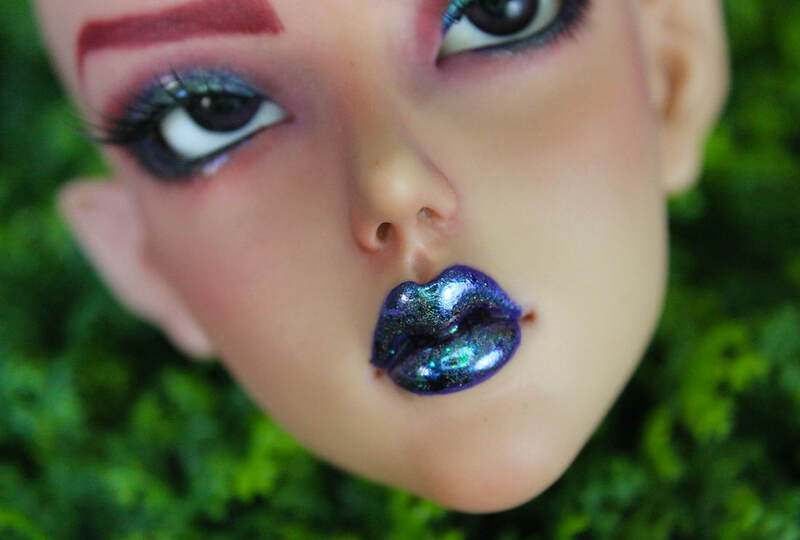 Golden Matte Varnish, Liquitex High gloss varnish. 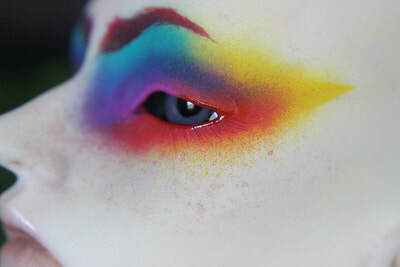 If you have a question that’s not covered by the FAQ, feel free to message me.